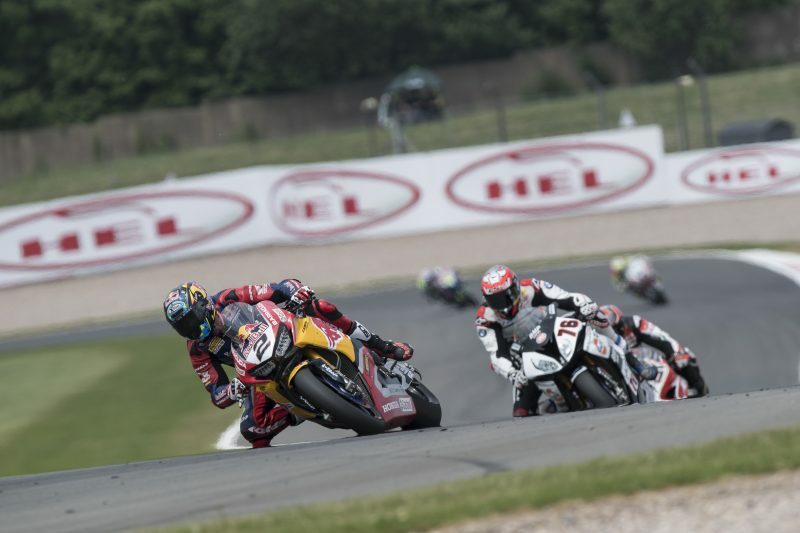 The Red Bull Honda World Superbike Team capped off their weekend at Donington Park with a double points finish as both Leon Camier and Jake Gagne charged their way through the field in a great comeback performance. After a frustrating qualifying session on Saturday, Camier and Gagne again lined up in P13 and P21 on the grid for Race 2 but were able to effectively tap the potential of their CBR1000RR SP2 machines to make up many positions in the race and secure a double points finish for their team. 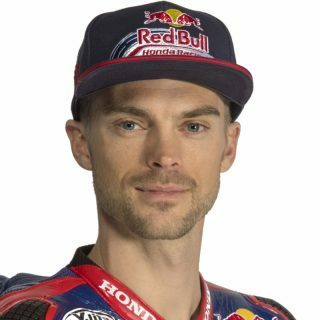 From the fifth row of the grid, Camier got out of the blocks quickly, moving into ninth place on the first lap and in another determined effort, was able to set a quick pace throughout the 23-lap event. 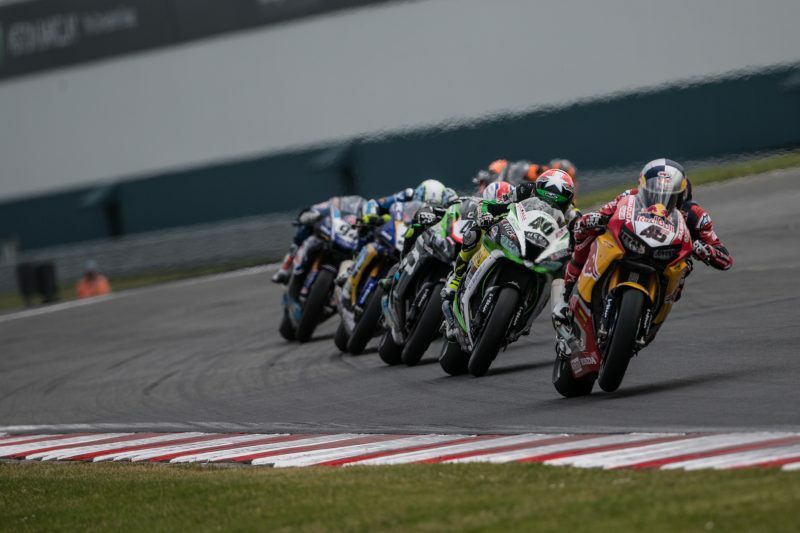 Keeping within the top ten throughout the race, Camier picked off the Ducati of Marco Melandri and BMW’s Loris Baz in the final stages to claim eighth place and seal a successful comeback from injury. Meanwhile, Gagne was equally impressive in his ability to carve through the field as the rookie systematically passed his rivals throughout the race after starting from the seventh row. After just missing out on scoring points in Race 1 with a P16 finish, Gagne made amends in today’s contest by coming home in thirteenth place to score three valuable championship points. 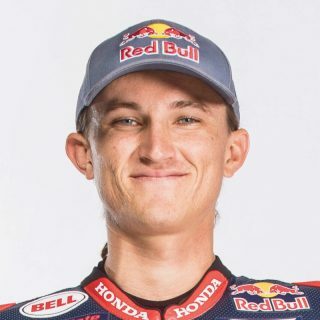 After six rounds in the 2018 FIM World Superbike Championship Camier is eleventh in the riders standings with 56 points, while Gagne moves up into seventeenth overall with 20 points. The duo will next be in action in round seven of WorldSBK which takes place at the Automotodrom Brno in the Czech Republic from June 8-10. I was really happy with the result today, we weren’t really sure whether I could finish both races so to finish in the top ten yesterday and today was a big bonus. In today’s race I didn’t attack too hard from the start, I just tried to get into a rhythm and see on what parts of the track I could push more. I had a good battle with Loris and Marco, changing positions a few times so given my condition it was great to be able to fight. Results aside, me and the team worked hard this weekend on developing our electronic settings and we made a lot of progress so that’s another positive to take away this weekend. Things are heading in the right direction with the bike so I’ll now look to rest up and continue my recovery ahead of Brno. We made some good progress with the bike this morning, particularly on the chassis side so in Warm Up we went faster than we did all weekend which gave me a good feeling ahead of the race. 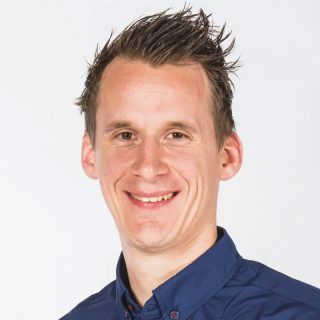 The first few laps of the race were tough; my start was OK but starting so far back meant there was a lot of traffic to deal with, but from the halfway point of the race onwards it was a lot better. My Fireblade was working well and I could attack in quite a few parts of the track which helped me make up some places and it was good to finish in the points today. The result today was a good way to end the race weekend and I think we’re going to be in really good shape for Brno. Today’s double points finish was a good result after our recent trials and it was a big boost to all of the team here at Donington. Leon made another great effort today, he’s in pain but managed his physical condition better day by day which not only meant he could get a good result, it really helped us continue with our bike development, we learned a lot this weekend. Jake did a really good job after yesterday’s race to work with the team before Warm Up to make the changes he needed and the result was he was much quicker in the race today and finished in thirteenth place and score some good points for the team. Although our results on paper this weekend were nothing spectacular, it was an important step in getting ourselves back on track so that we can start to build momentum for the rest of the season.